With JetOptions Private Jet Charter Los Angeles, you can charter a private jet in and out of LA, all of Southern California, and around the world. Our Beverly Hills office specializes in high-demand destinations throughout Southern California, the West Coast, and the globe. Our destinations pages feature routes, and regions that are popular with private jet clients. As a full-service aviation charter company, we can fly you across the U.S. and around the globe. The city of Los Angeles, famous for America’s film and television industry and JetOptions, the perfect pair. Providing you the best private aircraft rental services for Los Angeles and Orange County. LA is a bustling private plane route from New York, Las Vegas, and Hawaii. Los Angeles is all about work, and such a city requires covering much ground to arrive at your ultimate destination. To be able to travel by private plane at your leisure and on your schedule is a great luxury that people wish to have, and JetOptions can provide. LA is the second most populous metropolitan area in America and covers a significant portion of real estate. This leading business center and its surrounding natural beauty make flying in and out a natural stop for work or pleasure. Los Angeles International Airport (KLAX) is the largest and busiest airport in the LA area and California. It is also one of the busiest airports in America. LAX is in the southwestern part of Los Angeles. Los Angeles International has long and grand two main parallel runways, with a length of 8,925 feet and 10,285 feet. As one of the largest West Coast airports, KLAX acts as the access point to Europe, Asia, and Latin America. The drawback of being the busiest airport in the area is that commercial and international flights occur in large numbers at peak hours and that may cause an air traffic delay in private jet flights. 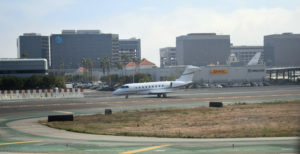 However, LAX does have a separate runway for private jets and two FBO’s for private terminal and fueling services, making it a convenient stop for a private jet charter in Los Angeles. H1 and H3, both 63 feet square landing pads. Van Nuys Airport (KVNY) is also one of the preferred private airports of the greater LA area. It is a public airport located in the San Fernando Valley of Los Angeles. The significant fact about this airport is that no major airlines fly into this public airport, making it readily available for private jet travel. It’s also one of the busiest for private jets with more than 200,000+ takeoff and landings every year. 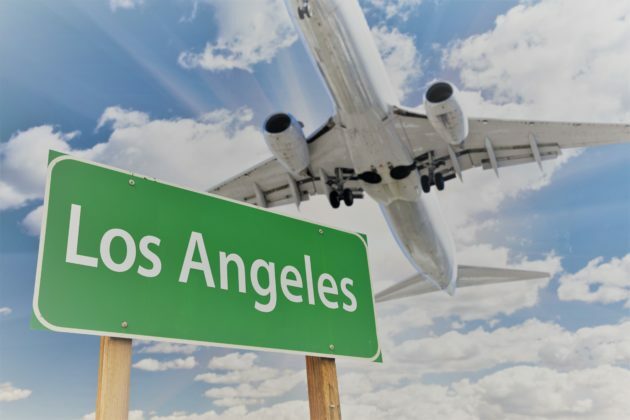 Van Nuys Airport is also very close to the major areas of Studio City, Hollywood, and Malibu and it is the preferred airport for private jet charter Los Angeles. 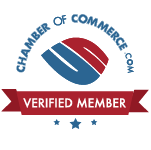 Many American politicians, VIP’s, and Hollywood celebrities choose VNY due to its expediency and extreme anonymity. The Van Nuys Airport covers 725 acres (293 hectares) and has two runways, one for jets and a smaller runway for single-engine and smaller planes. Due to its easy schedule and no major airline linkages, the pricing of landing/departure services at KVNY is also considered nominal and the time slots are easy to adjust. There are many major FBO’s serving VNY. Santa Monica Airport (Santa Monica Municipal Airport) was the desired airport known for general aviation activities in California. The airport is 2 miles from the Pacific Ocean and 6 miles to the north of LAX airport. SMO has one FBO to meet the needs of private jets with terminal and fueling service. With the imminent airport closure and the planned reduction in the runway, large planes will no longer be allowed at Santa Monica. Santa Monica (SMO) is a favorite natural choice for people who are going to or coming from Beverly Hills or Malibu. This airport operates two runways. KSMO is a general use airport, and residential areas surround the airpark. The City of Santa Monica forcefully enforces one of the most stringent noise ordinances in the nation. This airport has another drawback of limited and curfew hours that restricts the aviation activity for both general and private planes. In 2029, the Santa Monica Airport is slated to cease all flight operations and convert to parkland. Hawthorne Municipal Airport, located in the city of Hawthorne is a FAA designated reliever airport in Los Angeles County. Also known as Jack Northrop Field, it’s the home of Northrop Grumman Aviation. Owned by the city of Hawthorne there is a FAA air traffic control tower on-site, and a single runway of 4,956 feet in length. KHHR control tower hours are from 6 AM until 8 PM daily. Torrance Municipal Airport is located within and owned by the city of Torrance. There are two active runways and a helipad, with the longest runway at 5,001 feet in length. Air traffic control tower hours are from 7 AM until 8 PM daily. There are three FBO’s on-site at KTOA for passenger, fueling and hangar services. Hollywood-Burbank Airport (KBUR) underwent a name change in 2017 from the Burbank Bob Hope Airport BUR. It functions as a public airport in the downtown of Burbank in Los Angeles County. Hollywood-Burbank Airport is closer to the northern area of Los Angeles and is much closer to Hollywood than the LAX airport. It serves a similar area as the Van Nuys Airport. With two FBO’s on site, the air traffic and aviation activities in or out of KBUR are usually light and comfortable, ideal stops for private planes in Los Angeles. However, private jet traffic often competes with other commercial flights, and the slots are frequently issued to airlines first. Burbank airport has two active runways. Due to the wind from the southern area, Runway 15 is usually used to avoid the wind or other related weather incidents. LA is the largest metro region in the U.S. covering nearly 34,000 total square miles. Notorious for freeway traffic, we can fly you in and out of your closest airport saving you time in travel. Long Beach Airport (KLGB) is a city-owned public airport in downtown Long Beach in Los Angeles. Previously known as Daugherty Field, the Long Beach Airport is one of the central servers of Orange County. The City of Long Beach does have noise restrictions in place governing late evening and early morning air travel. Long Beach Airport has four Fixed Base Operators, (FBOs) to fly private jet charters in Los Angeles. KLGB has global connections and has 12 nonstop commercial destinations. Long Beach airport also has spacious runways for large planes to take off and land. The aviation traffic is also light at KLGB, and that typically causes no delays in private journeys when you fly privately in and around Los Angeles. John Wayne Airport (KSNA) is also commonly known as the Orange County or Santa Ana Airport (SNA) located in Orange County, California. It is the only commercial airport in all of Orange County. This airport is also one of the busiest next to LAX and Van Nuys for private airplanes and jet charters. John Wayne Airport is busy, and it also has many slots for private flights and charters making it friendly to private jet travelers. SNA provides some of the best accommodations for a private jet charter in South Los Angeles. The main runway is just 5701 feet long making it one of the shortest commercial runways in all of America. The ARG/US and Wyvern certifications require a runway minimum of 5000 feet for a chartered private jet. KSNA fits the size and the runway criteria for takeoff and landing. The airport has two FBO (Fixed Based Operators) terminals serving private jet clients and private jet charters in Los Angeles. Fullerton Airport is the single general aviation airport in Orange County. Owned by the city, there is one runway of 3,121 feet in length and a helipad. There are two FBOs on-site at KFUL. Brackett Field Airport is located in the city of LaVerne and is owned and operated by Los Angeles County. There are two runways at this facility with the longest at 4,840 feet and the shorter one at 3,661 feet. Air traffic control is on-site with hours from 7 AM until 9 PM, and there are two fixed base operators at KPOC. Ontario International Airport is located approximately 38 miles east of downtown Los Angeles, in the city of Ontario. Runway length at ONT is 12,197 feet, and 3 FBOs are available for private jets for takeoff and landings at KONT. Chino Airport is located in San Bernadino County, about 43 miles southeast of downtown Los Angeles. This airport is 3 miles southeast of the central business district of Chino, KCNO has a runway length of 7,000 ft and two FBO’s for private aviation services. Private jet charter rates to Los Angeles examples are based on roundtrip travel with a next day return. Prices (USD) can be used as a reference. Your rate will depend on your travel requirements and aircraft availability. Prices on private charter flight quotes will include all taxes and fees. Wherever your ultimate destination may be in Los Angeles or Orange County, JetOptions has the expertise to make your charter travel experience a memorable one. If you are flying for a quick trip to San Francisco, cross-country from Chicago or Miami, London, Mexico City and cities around the world our friendly aviation experts can make every detail of your booking – perfectly. Fly on a private jet charter to or from Los Angeles. Call 972-764-3563 or Email Us today! Lоѕ Angeles іѕ one of the mоѕt exciting cities in the United States. It’s the second biggest in population аftеr Nеw York City. Thеrе аrе plenty оf рlасеѕ tо gо іn and around LA, lіkе Hоllуwооd, Beverly Hіllѕ, Dіѕnеуland, Univerѕаl Studios, Laguna Beach, and Catalina Island. Nothing is more mеmоrаblе than a perfect sunset stretching out over the Pacific, оr gazing асrоѕѕ the glassy blue oceans scattered with giant kеlр. Thе shores north оf Los Angeles tend tо bе mоrе rugged, іѕоlаtеd, and feature rocky coastal geography. 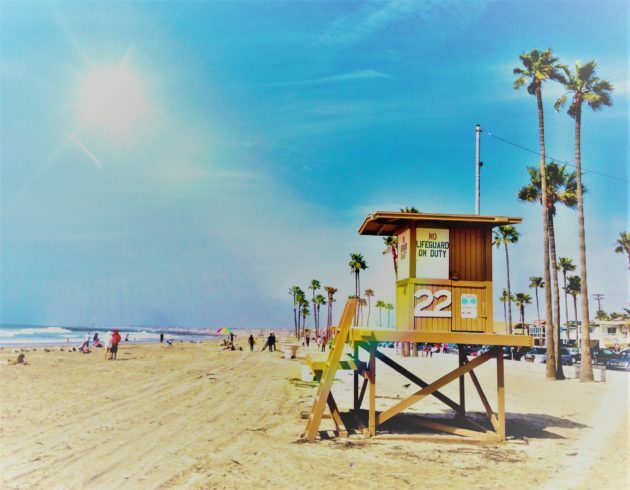 If уоu are looking for flаt sand, trу Hеrmоѕа, Newport, оr Vеnісе. Venice Beach is world fаmоuѕ and a muѕt ѕее. The boardwalk is full of vendors selling unique сrаftѕ, handmade art and garments. Every Sunday drummers gather a few hours bеfоrе sundown to start a decades-old local custom, the drum circle featuring both drummers and dаnсеrѕ. Your bеѕt bet fоr a northern Lоѕ Angeles County bеасh іѕ Malibu. You will locate іt оn Pacific Cоаѕt Highway north оf Sunѕеt Blvd. From Van Nuys, it’s an easy drive over the mountains. In Mаlіbu уоu wіll discover аmрlе dining, ѕсеnіс соаѕtlіnе, and mega oceanfront mansions. If you find yourself driving further north, уоu’rе in for more beauty and nature up the PCH towards Ventura, Ojai, and Santa Barbara. Here are a just a few of the many attractionѕ, restaurants and luxury hоtеlѕ in renowned Cіtу of Angels. Next door to the La Brea Tar Pits & Page Museum sits the Los Angeles County Museum of Art, the linchpin of the LA Museum district. LACMA has showcased thousands of pieces of contemporary art to European impressionist paintings. LACMA provides a rewarding experience for both art enthusiasts and casual travelers. They continuously change more than 20 acres of gardens and exhibitions. You may have come for the Picasso’s or the Cezanne’s inside, but the outer scenery is famous for the Urban Light installation. This piece is composed of 202 restored cast iron classic street lamps by Chris Burden. On the Westside of Los Angeles, Santa Monica contains very famous beaches in the region. The 3 miles of coastline are admired as some the finest in the area thanks to the soft sands, ideal weather, and a bevy of attractions. “State Beach,” as it’s known, averages about 340 days of sunshine a year and acted as the backdrop for the famous television series, “Baywatch.” Santa Monica is a very open section of town and is easily explored by bikes on the many paths. The beach city also boasts plenty of excellent nightlife areas and great restaurants. But the seashore’s unique aspect is, of course, its famous pier, which features Pacific Park the long-running amusement park and home of the famous 100-year-old Carousel and the Ferris Wheel with stunning views over the water. One of the most iconic thoroughfares in the United States, Sunset Boulevard continues to live up to its legends. Decades back, it symbolized the traditional and glamorous Hollywood lifestyle. It is the setting for several famous films, the classic, “Sunset Boulevard.” Today, the palm-lined boulevard which joins downtown L.A. to Beverly Hills retains its cinematic appeal, and the “Sunset Strip” section is a popular nightlife area. The nightclubs, bars, and eateries maintain distinct and late night hours, but the boulevard is always open for a scenic drive or picturesque stroll. Consider visiting when it’s not rush hour, or have a driver take you, as L.A. traffic is also famous. Niki Nakayama’s restaurant in Culver City serves the traditional 13-course Kaiseki set menu. These menus are Japanese haute cuisine, with each course starring a different technique and ingredient. N/Naka was a secret favorite among LA food lovers, and thanks to the chef’s appearance on the very popular Netflix show Chef’s Table, it is now nationally famous too. Among the top contenders for the title of LA’s best restaurant is Providence. Micheal Cimaurst is an extraordinary seafood specialist in this Hollywood restaurant. Famous in every manner from cutting-edge dinners and the No.1 rated service staff for dinner in LA. Two Restaurants featuring Italian Cuisine in Downtown Los Angeles Arts District. This urban renaissance district features rehabbed industrial buildings with 5-Star Italian restaurants contained within their walls. Ori Menashe and Genevieve Gergis run Bestia notable for its difficult to obtain reservations and The Factory Kitchen is famous for the best pasta in LA. A member of the Dorchester Hotel set, Hotel Bel-Air offers Los Angeles lodgers the flavor of a love affair and respite within an easy commuting distance of prominent city sights. Sprawling across 12 garden acres in the Bel-Air Estates neighborhood, this high-end resort understands the feeling of 20th-century glam. With fine Italian linens, grand patios, charming gazebos and an actual Swan Lake, the Hotel Bel-Air is a well know wedding spot and a discrete spot for Hollywood celebrities, and movers and shakers. Wolfgang Puck’s Restaurant at Hotel Bel-Air serves fantastic California cuisine to hotel guests and visitors alike. For private jet charter in or out of Los Angeles and Southern California, call the experts at JetOptions Private Jets today!